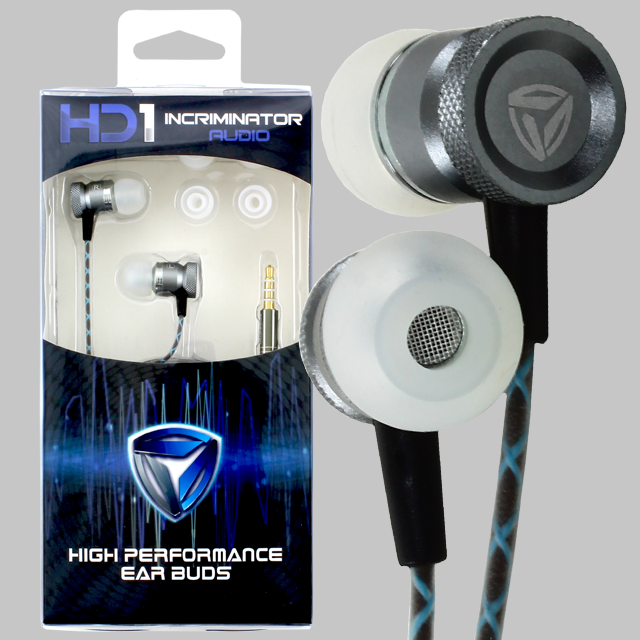 HD-1's : The HD-1 Earbuds feature molded gunstock aluminum bodies that house a 10mm neodymium driver. They come standard with S/M/L size silicone ear tips that are interchangeable to find the most comfortable fit. The frequency response is 20 Hz to 20,000 Hz with a sensitivity of 110 dB. They include a built in microphone and an answering button for hands free driving.